This month’s breed is robust, athletic, and most known for its long, fluffy coat. Despite its large size, this breed is gentle and highly affectionate. Can you guess which breed this is? Check the answer below! 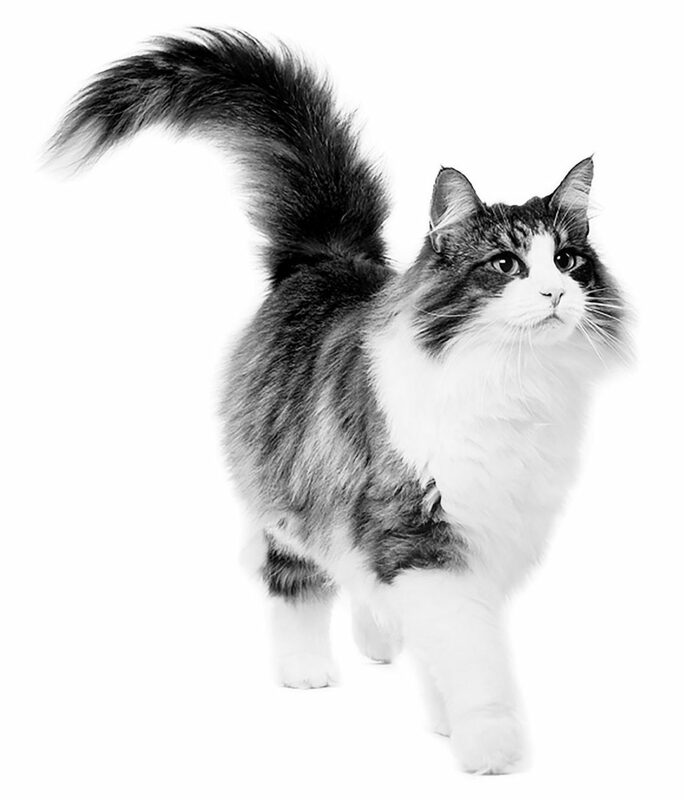 Answer Copy: It is believed that the Norwegian Forest Cat’s ancestors were the household pets of the Norwegian Vikings! What’s more, it’s one of the few cat breeds that enjoys water.